Are you considering a new security system this year? 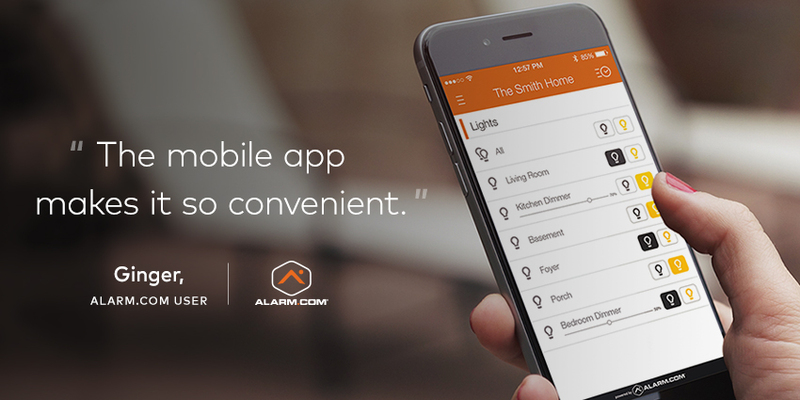 Join the millions of homeowners who enjoy better protection and an incredible range of smart home benefits with Alarm.com technology. 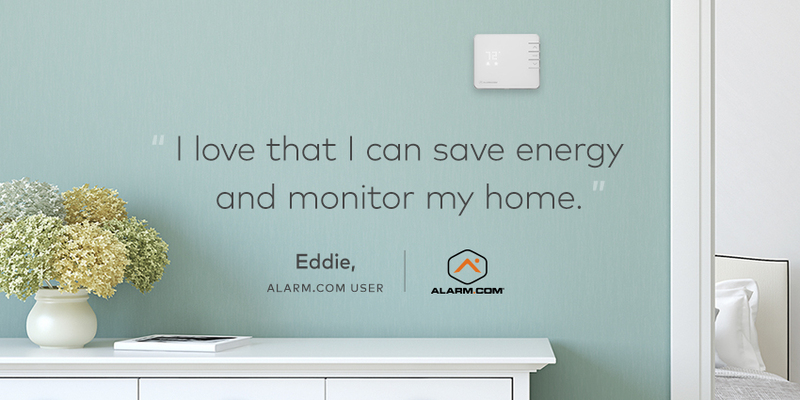 Upgrade your home with Alarm.com this year and you'll see exactly what these seven users are talking about. You can disarm and arm your system from anywhere, let visitors into your home remotely, see activity at your home in HD video, adjust your thermostat and open your garage. You can even control all of your devices at once with a single button. And that's just with the smartphone app… there's voice control too. 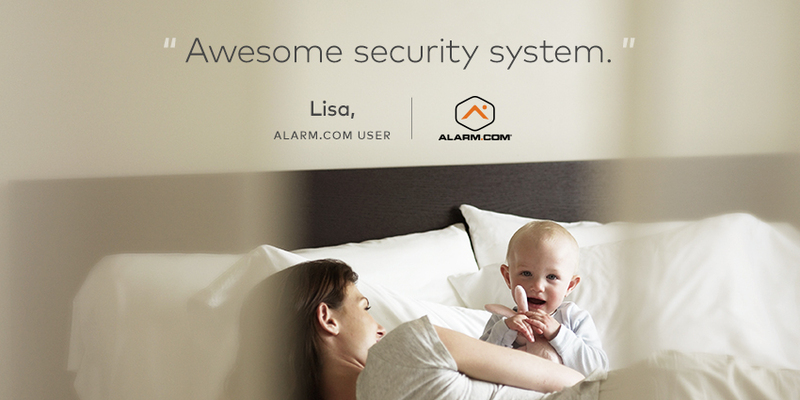 While older security systems only let you know after something bad happens, an Alarm.com-powered system uses advanced intelligence to warn you beforehand. Unexpected activity notifications alert you to potential danger in your home, such as young children accessing dangerous areas. 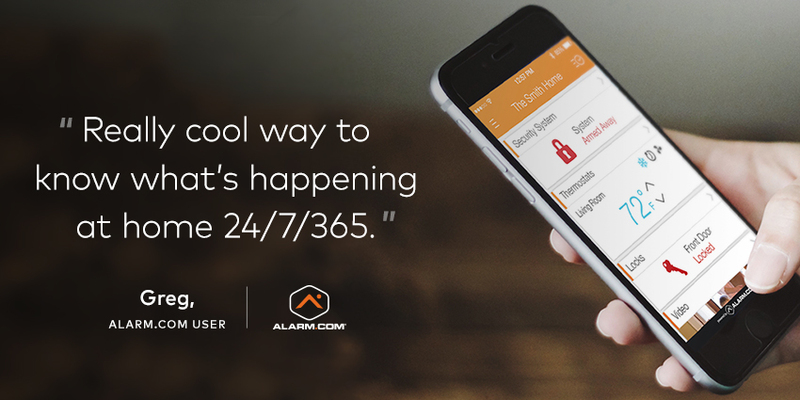 Smartphone reminders let you know if you forget to secure your home; a situation that's easily fixed. You'll even know about tornadoes in advance. When you work long hours, your Alarm.com app is a delightful way to stay more connected to your family. You can get a video clip every day when your kids arrive home from school, or just open a live video feed to check in on them anytime. You can set up no-show alerts for peace of mind, and other alerts that keep you aware of activity around the house. It's a great way to lighten that FOMO feeling and keep an eye on things. Alarm.com is a true security system that comes with proactive safeguards to protect you - including 24/7 professional monitoring. That means that in an emergency event—whether it's a break-in, a fire, or a carbon monoxide leak—your system proactively signals a professional monitoring station for assistance. A security professional will quickly assess the situation and dispatch police or firefighters to your home. A smart thermostat is an easy way to reduce your energy bills. 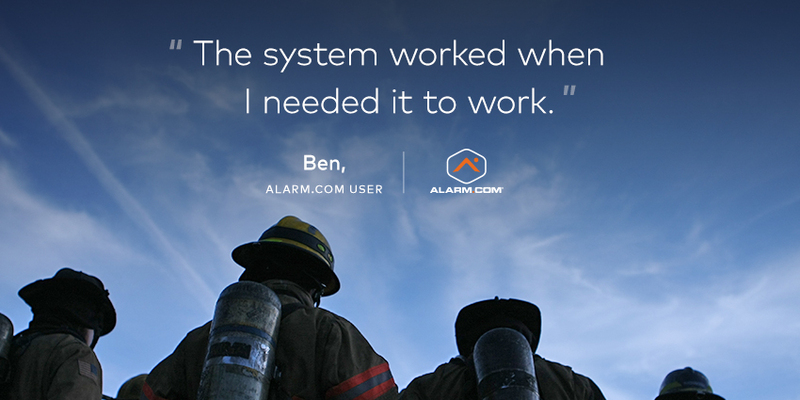 With Alarm.com, you don't need to shop separately for one; instead, you can have it installed as part of your system. Our smart thermostat integrates completely into your Alarm.com system, giving it extra intelligence from your home's security sensors. This makes it more attuned to your activity and needs, enabling smarter energy savings that don't leave you uncomfortable. 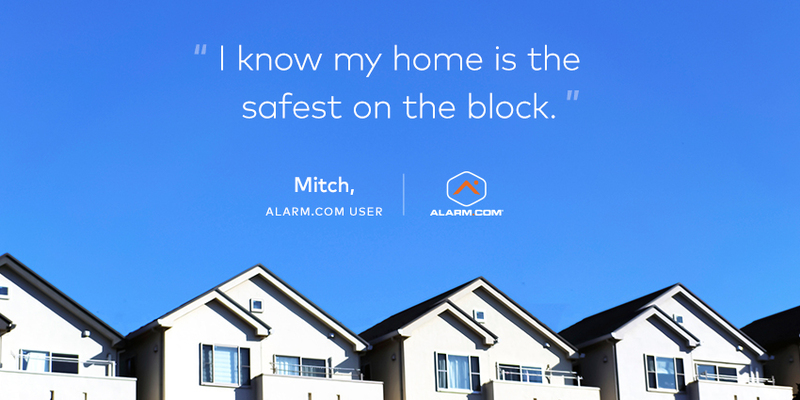 Whenever you're away from home, knowing that Alarm.com is protecting your property gives you extra peace of mind. It's not just protection from crime that Alarm.com gives you. Your security system can alert you if there's a water leak, or a drop in temperature that indicates an HVAC failure, or if your sump pump fails after a heavy rainstorm. 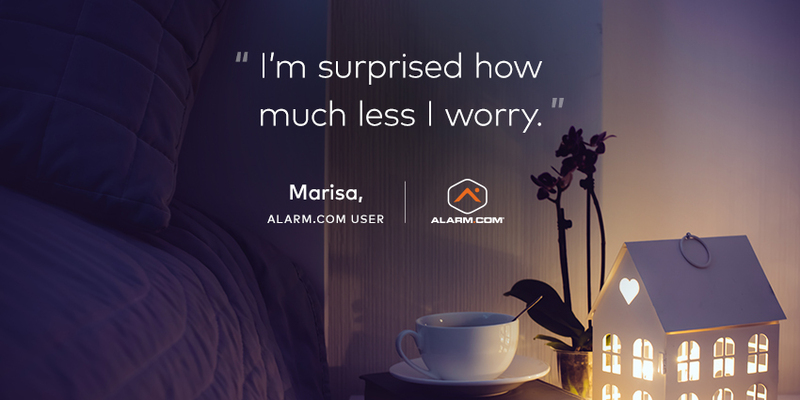 Even if you're not there, Alarm.com makes it easy to let a professional into your home to fix the problem before the damage gets worse. Alarm.com technology is built to the life safety standards demanded by the security industry. Installed and supported by a home security professional, your system will include a dedicated cellular connection that keeps your home connected through a power outage, broadband failure, or even an attack on your security panel. 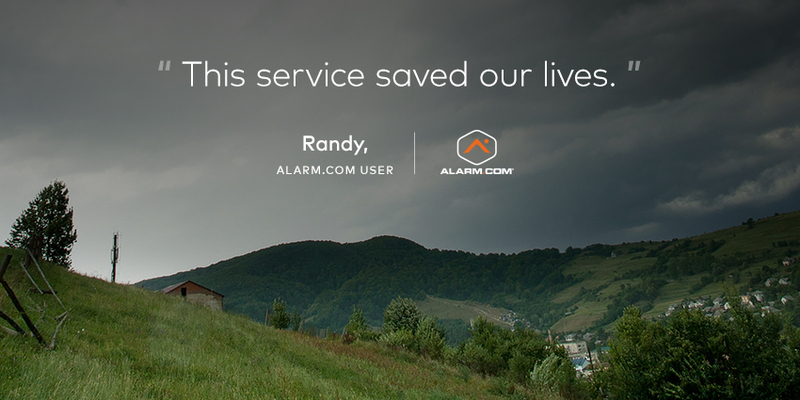 When your home is in danger and you need help, Alarm.com comes through. Want to upgrade your home with smarter home security? Here's how to get Alarm.com.